We have been trading from our office at Howard Park Corner on the edge of the town centre since November 1989. 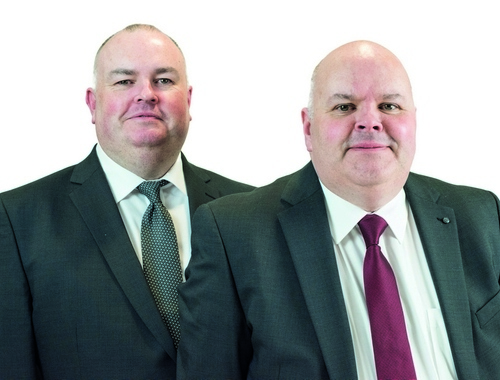 The current owners Simon and Ian Ellmers were brought up in the town, whilst Paul Gibson and Tina Browne have worked within the Country Properties network for over 20 years. Our longstanding experience has afforded us a wealth of knowledge in the housing market in and the first Garden City. Whether it be sales or lettings the team work hand in hand together and support one another along with all our clients. The office itself is situated in a lovely parade of shops facing the picturesque Howard Park which has recently been updated to include a very popular paddling pool. With the mainline railway station just 5 minutes away we are in a perfect spot to explore all the Garden City has to offer! We blend traditional techniques with modern technology to offer a bespoke service to each of our clients. To discuss your property at more length please pop in and speak to a member of the team! So if you would like a free sales or rental valuation visit Country Properties in Letchworth Garden City or give them a call. The team at Country Properties are friendly and professional. I chose them to sell my house; they did all the hard work in terms of taking people round to view - something I could not have done. They kept me updated, recommended an excellent solicitor and all with a good sense of humour. Would highly recommend. The work done by Paul on the sale of our house (and the assistance he provided with our ongoing purchase) was truly first class - I don't know what we'd have done without him to be quite frank! Courteous, professional and always available to help even on his days off. I'd tell anyone who thinks its smart to use internet companies that they're fools! We bought through Country Properties and they were the only agent we considered when it came to selling. This is the second time we have bought a house through Country Properties Letchworth and both times they have been professional, efficient and helpful at every stage. This time Paul was our main contact helping us with viewings, queries, chasing for things and advice. Highly recommended! VAT Reg No: 750 6258 34 | Registered No: 03932656 | Registered Office: Unit 1b, Focus 4, Fourth Avenue, Letchworth Garden City, Hertfordshire, SG6 2TU. A Hunters franchise owned and operated under licence by Country Properties (Letchworth) Limited. 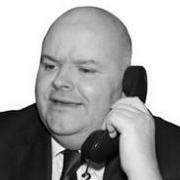 Simon has been in Estate Agency for over 25 years and has been based in the Letchworth Garden City office since 1997. Along with his brother Ian, he has been a joint owner of the franchise since 2000 and as the branch manager continues to provide an exceptional personal service to all our clients. 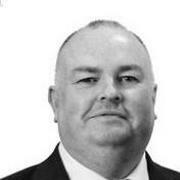 Ian has a vast amount of experience selling and letting properties in Letchworth Garden City. He joined the branch in 1990 and is now part of the furniture. Ian is happy dealing with all clients from first time buyers and tenants to the Letchworth Garden City Heritage Foundation. 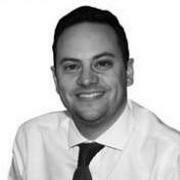 Paul started his Estate Agency career with Country Properties as a trainee in the Baldock office 20 years ago. He joined the Letchworth Garden City office in 2003 and has been an important member of the sales team ever since, whilst overseeing the lettings department in the last few years. Tina has been a member of staff within Country Properties for over 20 years. She has gained invaluable knowledge in the local property market and continues to be an enthusiastic highly motivated member of our small team. Letchworth Garden City is in North Hertfordshire with a population of approximately 33,000 people and was the world’s first garden city. Situated just off the A1(M) and with its own railway station it is well situated for commuting to London and Cambridge. The concept of a garden city came from the author Ebenezer Howard in his book ‘Tomorrow: A Peaceful Path to Real Reform’ later named ‘Garden Cities of Tomorrow’. First Garden City Ltd was formed in September 1903 and started the development of Letchworth Garden City. From the 1995 the Letchworth Garden City Heritage Foundation took over management of the estate. Whether visiting family and friends or here to enjoy a day out, there’s plenty to see and do. Planned to combine the best of ‘town and country’ living, Letchworth Garden City offers something quite different, a unique heritage and some interesting places to explore. From The Spirella Building to The Cloisters, you’ll be fascinated by the range of architecture, from Arts and Crafts to Art Deco. In the town centre, you’ll find the perfect mix of attractions with specialist shops, plenty of eateries, an art deco cinema, the International Garden Cities Exhibition and an arts centre. For the more active, why not enjoy a round of golf or make a summertime splash at the Outdoor Pool. As you explore further, you will discover a host of green open spaces. The Garden City Greenway offers an exhilarating amble in the fresh air around a 13-mile route, encircling the town. You’ll find a number of stops on the way, with a visit to Standalone Farm a must for the little ones. Getting here couldn’t be simpler, just half an hour by road from the towns of Cambridge and Luton. You might even choose to leave the car at home and take advantage of the town’s excellent rail links and centrally located station. Five minutes’ walk from the station is our office, situated in a lovely parade of shops facing the picturesque and Howard Park and paddling pool. The office and is well known for its impressive window display lighting up the local area. Parking is available at the bottom of Howard Park or in the nearby Wynd development. Open 6 days a week the team is always pleased to see new faces whether it’s your first visit to the Garden City looking to purchase a property or you’re a current resident looking for advice on selling your home.